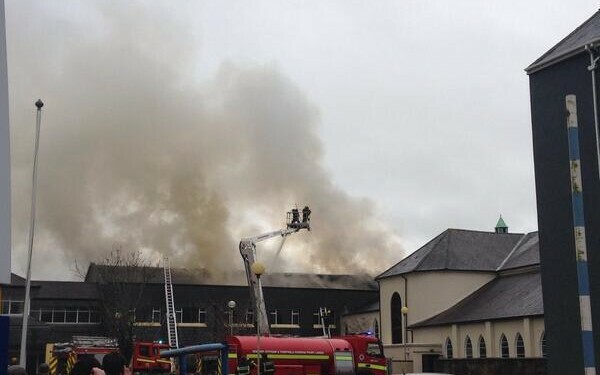 According to Reports a fire has broken out at Glanbia’s offices in Dungarvan, Co. Waterford. The blaze is believed to have broken out early this morning, with emergency services arriving on the scene after 9 am. 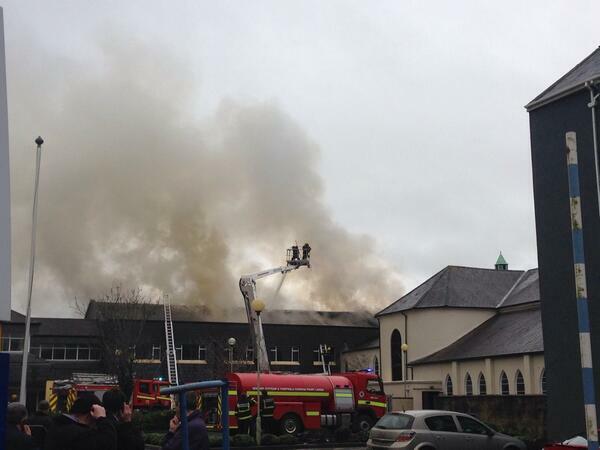 Reports suggest that the fire may have broken out in the electrical room in the Glanbia building. However the source is still being investigated. Arriving at the scene emergency services found dense smoke billowing from the building. It is also now understood that the fire may have spread to Shaws Electrical Department which is in close proximity to the Glanbia site. Gardaí have cordoned off the area and closed it off to traffic.